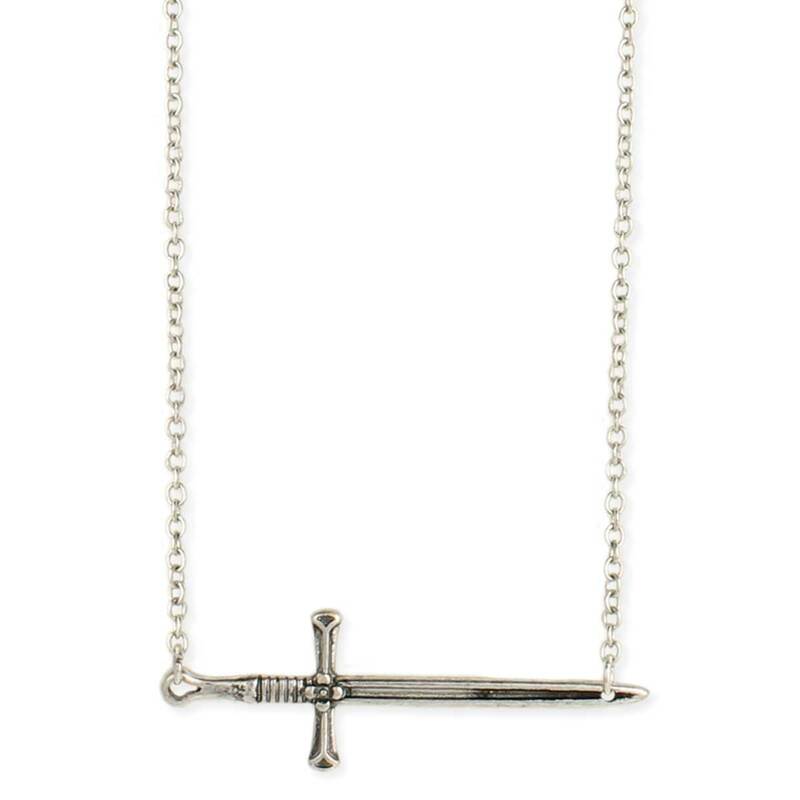 Show them your dark side with this silver dagger pendant necklace! Silver link chain holds a horizontal detailed dagger pendant. 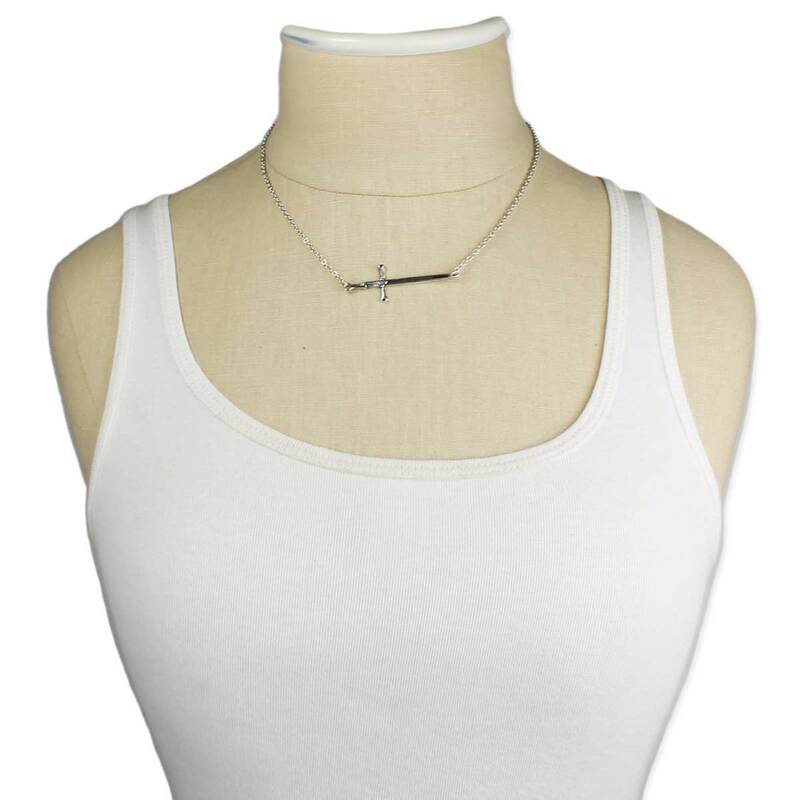 They'll be shooting your daggers when they see you walk in wearing this rebellious necklace!